The Wine Tourism Conference recently had the opportunity to interview Nancy Light, Vice President of Communications for the Wine Institute. The Wine Institute has been a friend and supporter of the Wine Tourism Conference from the beginning and we appreciate their Grand Partner sponsorship of the 2014 Wine Tourism Conference November 12-14, 2014 in Paso Robles. The Wine Institute serves as “the voice” for California wine – the Institute represents more than 1,000 wineries and affiliated businesses throughout the State as the largest advocacy and public policy association for California wine. Additionally, it is the only group representing the industry at the state, federal, and international levels. Q1: What were the drivers behind creating the country specific versions of the consumer website? What are your goals in broadcasting this website to these specific countries? Our goal is to continue to forge a strong connection between our iconic and aspirational California destination with our world-class wine-producing region. We also want to offer a locally relevant and resonant platform to our consumers, media and trade in key wine export markets throughout the world. Both our newly translated websites and our social media campaign (primarily Facebook pages localized for 15 countries throughout the world) help us to engage with our audience on a global and local level in the digital space. We communicate about the quality, diversity and value of our California wines at all price points, and our new websites help us to bring these concepts to life in an educational, fun and informative way. These new tools will help consumers from afar learn about and enjoy our wines in their home countries, and, hopefully, inspire them to visit to experience our wine country for them. We have set records in our California wine exports for four consecutive years now (from 2010 – 2013), so clearly consumers from around the world are enjoying more California wines and also traveling more here to California. Q2 = How do you think this website can be used effectively by CA wineries to encourage tourism to their wineries? How do you think this website can be used effectively by CA wine associations to encourage tourism to their regions? Do you have suggestions for the wineries and associations to work collaboratively in using this website as a tourism resource? Q3 = How does the Wine Tourism Conference meet the needs of the growing wine tourism sector? What do you look forward every year at the annual WTC? The Wine Tourism Conference provides insight and tools for engaging beyond the business of making and selling wine. Wineries are unique in that they are able to welcome their customers into their premises and invite them to become part of the winery “family” and brand ambassadors. I personally look forward to hearing about best practices from experts in other areas of wine tourism and interacting with attendees. Q4 = what wine tourism trends do you anticipate seeing in the CA wine market the remainder of 2014 and in 2015? Are CA wine tourists looking for something new or different? We see continued growth in wine tourism throughout all of California’s diverse regions. More and more regions are developing services and amenities to attract tourists – from restaurants and hotels to outdoor adventure. CA wine tourists vary in their needs like any other tourism consumer. The difference is, wineries continue to generate business after the visit. In wine, there are the locals who want to be recognized with special treatment when they visit or bring guests, the luxury wine travelers who want customized options for enjoying gourmet, high-end experiences and those, often younger consumers, who want some fun and engagement with their wine. Still, nothing beats the experience of walking into a winery and meeting the owner or winemaker. With China expected to become the number one source of tourists to California in the near future, wineries doing business there should consider offering tastings and tours in Mandarin. 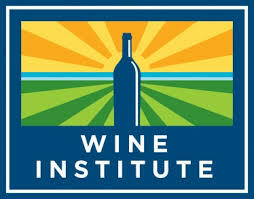 Thank you, Nancy, and the Wine Institute for taking the time to flush out the new program with DiscoverCaliforniaWines.com! We look forward to discovering new wines, meeting new people, and networking with the attendees of the upcoming Wine Tourism Conference in #PasoWine country this week!